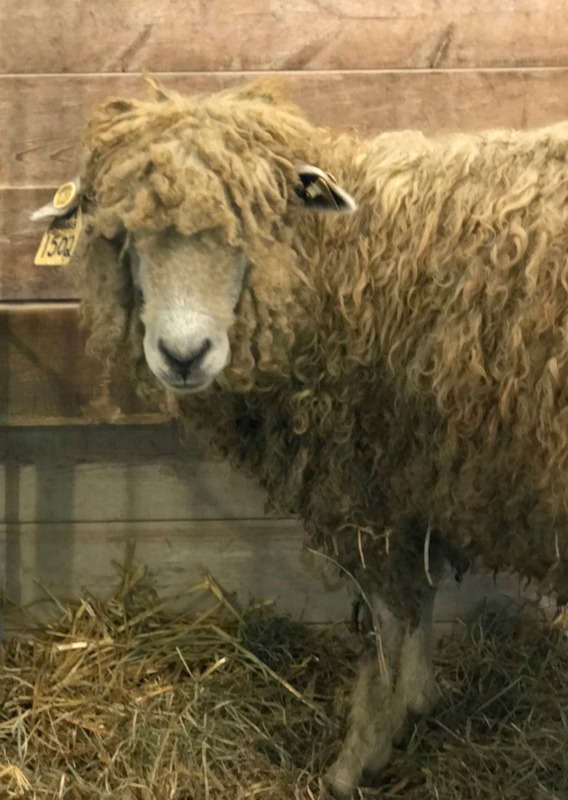 Wisconsin Sheep and Wool is always a delightful show, the people, the vendors, the sheep, the food, all are always excellent. The weather even turned for the show from lots of muggy rain to sunny and cool enough to wear a flannel shirt, a little Wisconsin magic. I taught four full classes this year. It was great to see familiar faces, and to have students that took more than one class with me. I am so very grateful for their support. That Louet was painted by one of my students, when she was injured and couldn’t spin, gorgeous. Wisconsin spinners are speedy and very clever. They spun a lot of color over the weekend, and everyone was excited to get home to rethink their stashes. There may have been braid shopping too. There was so much beautiful CVM at this show. I was really, really tempted. Before I commit to a fleece I want to have the time to process it , and just a tiny bit of a plan. One of my students bought two unbelievable CVM fleeces. She let me pet those and dream during class. I did do a bit of shopping. My big purchase was a Majacraft hackle, I’m ready to blend fiber and colors! I bought 4 braids of Merino/Yak/Silk from Gale’s Art, her colors are so pretty. Before you ask, yes, I’m going to combine them, I’m just no sure how. I bought some crazy soft Cormo to use at my Spin and Nosh class this weekend. I bought a pound of organic dried lavender to make more lavender sachets on my Zoom Loom for gifts. I alluded to my love of Green Mountain Spinnery yarn in my last post, and confessed to ordering a bag+ of Weekend Wool in the Pumpkin color to make a Carbeth. I also bought a skein of Yarn Over and two skeins of their new Ragg-Time marled yarn to play with. I’m sad I won’t be able to teach at Wisconsin Sheep and Wool in 2019, I have a conflicting deadline. I will be teaching at Susan’s Fiber Retreat in Wisconsin at the beginning of March 2019, I’ll let you know the details when I know them.